Did you know that a worker dies from a work-related accident or disease every 15 seconds? With statistics like these (provided by the United Nations), it is important to bring awareness to safety and health at work. 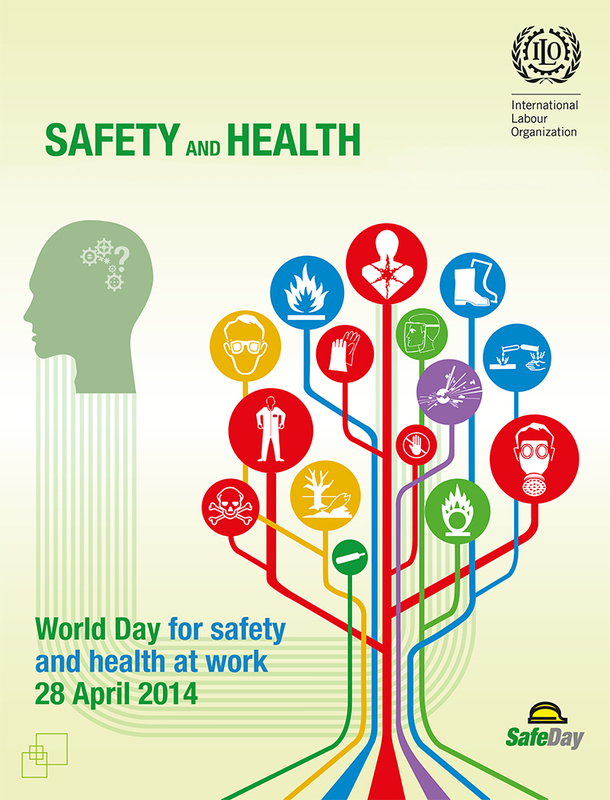 April 28, 2014 marks the World Day for Safety and Health at Work. It first began in 2003 by the International Labour Organization (ILO) to inform the public about this important issue. With strong public awareness, we will be able to create a safety and health culture that can help reduce work-related deaths and injuries. Within the concrete industry, an important health risk has been brought to light by the Occupational Safety and Health Administration (OSHA). Silica dust has been the culprit in thousands of preventable deaths for decades. When silica dust is allowed to enter into the lungs, it can cause silicosis, lung cancer, chronic obstructive pulmonary disease (COPD), and kidney disease. Unfortunately, the negative effects of silica dust are not immediate, but slowly emerge later when the damage cannot be repaired. Click HERE to learn more about OSHA's regulations. Silica dust is created when contractors are grinding or cutting concrete without any water. With the current safety measures in place, there are still countless lives lost. However, OSHA has proposed new safety and health standards that Gelmaxx is in support of. Long before OSHA suggested for contractors to use a wet method, Gelmaxx has been advocating the positive results from using water. Not only does it eliminate silica dust, but it helps prolong the life of the equipment as well. Some are turned off because of the mess that water can create, but with Gelmaxx’s AQUAmaxx separator and ECO-QUICKgel solidifier, concrete slurry can be easily taken care of and disposed directly into the trash can. We are each responsible for helping stop deaths and injuries on the job, but without the proper knowledge, we are rendered useless. On World Day of Safety and Health at Work, we each have an obligation to ourselves and each other to bring awareness to the harmful risks we face at work and to participate in implementing preventative measures. We invite you to join us on this significant day!